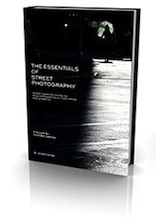 Two Street Photography eBooks for $15! Note: This deal is expired; however, you can visit the website directly to check out their latest deals. Time to get on board! In this SnapnDeal these two great eBooks will give you the all the confident you need to start taking meaningful, beautiful and technically stunning street shots. … and they can be yours for only $15. Few people know all of the tips, tricks and techniques to be able to consistently take meaningful, beautiful, and technically stunning street shots. No matter your skill level, there will be something important for you to learn in this book. Whether you have a Leica, an SLR, a micro 4/3rds, a point-and-shoot, or a Hasselblad, you will be covered. This 141 page guide is not only about teaching you how to technically approach photographing on the street, how to edit your work, how to overcome your fears, or how to get sharp, close-up candid shots without getting punched, although it will teach you these things. It is about teaching you how to conceptually approach your work so that it has something to say. 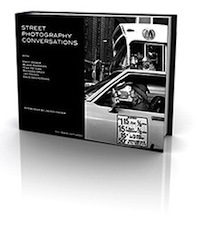 Learn from six talented street photography veterans in this 96 page book of interviews. Learn first-hand the techniques of Matt Weber, who prowled the gritty, pre-Giuliani streets of New York in a taxi capturing the 80s crack epidemic and is the focus of the upcoming documentary, More Than The Rainbow. Hear from Blake Andrews, who does beautiful work in the quiet city of Eugene, Oregon. Learn how Richard Bram, Jay Maisel, Mike Peters, and Dave Beckerman all approach the streets in their own, diverse ways. If you are not satisfied, if you do not think that you have not learned anything that you did not already know, or if you did not receive sufficient inspiration from this book, then you will receive a full refund. 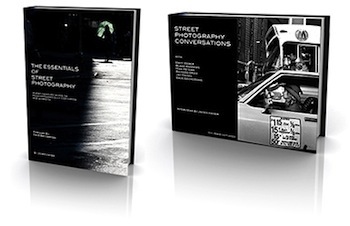 That is how confident these guys are that these books will help take you to a new level in how you approach your street photography conceptually, technically, and in your editing abilities. Grab a copy before time runs out!